Summary: Despite HTML5’s growing importance, many businesses still don’t understand this new standard. To help clear up this confusion, this list of HTML5 resources explains this new standard, dispels common myths, and explains why most people look at the “native vs. HTML5” debate from the wrong angle. Summary: The “Native apps vs. HTML5 apps” debate has raged for the last few years. Some tout the benefits of the native approach, while others swear by HTML5. The only problem is, this argument doesn’t make sense. Find out why, and which question you should be asking instead. 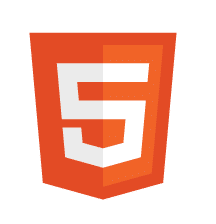 What is HTML5 and how does it help? Over the last couple of years, HTML5 has dominated the tech headlines. Set to become the new standard in 2014, this buzz will only grow louder in the months and weeks leading up to that time. The only problem: HTML5 is still surrounded with misinformation. Everyone wants HTML5, but outside the developer world, few actually know what it is. Some view it as a brand new tech trend. Others think they’ll need to convert their current applications to HTML5. Still others equate HTML5 with mobile web apps. In reality, none of that is accurate. Do you believe these common HTML5 myths? The misinformation surrounding HTML5 has reached new levels. Last week, I saw a Linkedin discussion thread that referred to HTML5 as “a strategy.” Now, the discussion actually centered around the idea that mobile web apps are a better strategy than native apps for business. I completely agree with that statement. However, HTML5 is not a strategy. Here’s what’s happening: As HTML5 becomes more popular, the misinformation surrounding this new standard grows. 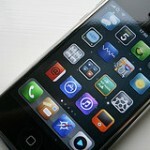 It’s become a catch-all phrase for the mobile web, and its features and capabilities are widely misunderstood. The problem: Everyone wants HTML5, but they’re not quite sure what it is.